(February 17, 2011) -- It has become a travesty of epic proportions; Black boys are being sent in record numbers to the psychiatrist for mind-altering medications that come with a plethora of side effects. At the heart of the issue are allegations by classrooms teachers, many of them poorly trained at managing trivial off-task behaviors in the classroom, who assert that these African-American boys exude a level of inattention, hyperactivity and/or disruptive behavior that significantly interferes with their ability to learn. Of course the Black community could argue that if that were the case, then why can´t these teachers demonstrate why they haven´t improved outcomes for students who do not exude such challenges? However, upon closer examination we find that in many instances, an occurrence which increases with the decrease in the boy´s socioeconomic status, 50% of the Black male student population in many classrooms are being sent to the psychiatrist for medication. Even by the most liberal of estimates, psychopathology should be limited to 15-20% of a given population. Thusly, how can we explain the excessively high rates of Black boys being referred and recommended for dangerous psychiatric substances that will not "cure" their challenging behaviors, but simply "sedate" these behaviors long enough for him to be mis-educated. Still further, there is no concrete evidence that suggests medication improves the learning outcomes for Black boys who are given these brain drugs. As an African-American male school psychologist, who travels the country evaluating Black boys and supporting parents/teachers who serve them, it is amazing how enormous the percentages of Black boys who are not only prescribed one of these "Kiddie Crack" substances, but at how many are prescribed more than one of these dangerous substances. It is heart-wrenching to witness the process, albeit totally legal, for pediatricians, who are not trained in psychology or psychiatry, who prescribe these psychotropics simply because symptoms of inattention and mild hyperactivity have been reported by the teacher or parent. 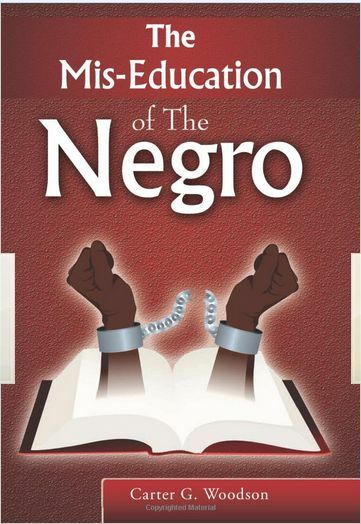 The Black community has allowed itself to be cajoled into a situation that is making psycho-slavery the state of existence for Black boys, with little outcry from a community whose history is replete with being used as "research dummies" for the psycho-medical-industrial complex. Most shocking, from a psychological perspective, is how often I find that Black boys diagnosed with Attention Deficit Hyperactivity Disorder ADHD), Conduct Disorder (CD) and/or Oppositional Defiant Disorder (ODD) do not actually meet the full criteria for the condition as delineated in the American Psychiatric Association´s (APA) Diagnostic & Statistical Manual of Mental Disorders (DSM-IV-TR). For example, the ADHD diagnosis requires that the symptoms of hyperactivity and/or inattention be present before the age of 7 years. It also mandates that THE IMPAIRMENT CAUSED BY THE SYMPTOMS SHOULD AFFECT THE CHILD´S FUNCTIONING IN AT LEAST TWO DIFFERENT SETTINGS, NOT MERELY THE CLASSROOM ALONE! Further, there should be CLEAR EVIDENCE that these so-called symptoms, which many of us would argue are NORMAL behaviors for an energetic Black male child, affect the young man´s SOCIAL, ACADEMIC and/or OCCUPATIONAL FUNCTIONING. How many of us know Black boys currently digesting a cocktail diet of various psycho-tropics whose exhibit no academic and/or social limitations as a result of these socially-constructed disorders. How many of us know boys who rebel against taking these legal addictive substances due to the side effects that they often always cause. These side effects include stroke, heart attack, ticks, tremors, diarrhea, hallucinations, delusions, brain cell death, anxiety, suicidal/homicidal tendencies, diabetes, stunted growth the body & brain, sexual dysfunction and the list goes on! How many of these victims of ineffective teachers & psychiatry-for-profit do not, in fact, have a problem with their quality of life but rather were hooked on drugs, at the teachers request, when they should have been getting hooked on phonics! The great irony of child psychological/psychiatric care is that children are not self-referred for medication. That is to say that rarely will you find a child who requests to see the psychiatrist because they feel they need medicine. Rather it is the adults in the child´s life who feel they would be much better served, not the child, with the young man being drugged so the adults can lead a more "peaceful" life. Classroom teachers are trained to impart effective instruction to children, they are not trained as psychologists and/or psychiatrists but it is amazing how many practice outside of their field of expertise by offering "advise" to parents as to how they can deal with their child´s behavioral difficulties that many parents never even witness at home. It is frightening how we in the Black community allow outsiders to dictate what is in the best interest of our children, while we passively stand by agreeing with everything they have to say. The failure of Black boys is a very lucrative industry. With psychotropic drugs profits on Wall Street exceeding $45 Billion last year, this REFER-DIAGNOSE-PRESCRIBE & DRUG culture that functions much like a visit at the local drive thru at the fast food restaurant. In fact, I know of children who were "evaluated," diagnosed and prescribed in less than 5 minutes; a much quicker time that what it takes to get your Happy Meal at the pick-up window. How hypocritical is it for a society that has DECLARED WAR ON DRUGS to be so busy in the act of drugging an entire generation of Black boys to substances many of which are certain to serve a gateway drugs for far stronger illegal drug use later in their lives. They claim to LEAVE NO CHILD BEHIND but are totally content leaving our boys with side effects from these drugs years after they have graduated from school, if they ever graduate at all. I will be the first to argue that many of our boys, but not all, do, in fact, have a problem with self-discipline. However, this is not the cause of a psychiatric imbalance or an overactive prefrontal cortex in their brains, but is rather due to gross lack of Black Adult Male presence in their lives. In fact, ADHD really is "Absence of Daddy from Home Disorder." With so many adult Black males being killed, committing suicide and being arrested by way of a racially-selective & hostile criminal injustice system, many Black boys are left without their fathers, big brothers and uncles who are daily being crushed by the weight of "structural inequalities" better known as institutional racism. This society locks up Black fathers and then puts their sons on drugs since they are coming to school, looking for the attention every child needs from dad, in all the wrong places. Although the "experts" may not admit it, this problem is not as difficult to solve as the "educational and psychological authorities" would have you believe. In fact, we can begin to solve this problem by mandating that the following (5) five processes take place in each and every public and charter school in the Unites States. 1) No Black boy is referred to a psychiatrist until an effective Functional Behavioral Assessment & Positive Behavior Plan has been created by an African-American Male Psychologist or Behavioral Specialist who is QUALIFIED & EXPERIENCED to conduct them. Far too many credentialed professionals are working in the world of behavioral modification but are ineffective and undertrained. 2) Every White Public School Teacher MUST undergo 25 hours of FBA/PBP and classroom management training which includes successful modification of at least one "real world" Black boy´s challenging behavior in their classroom. 3) A quality assurance and oversight committee should be created in every city/town that reviews EVERY clinical psychological evaluation and referral for psychotropic medication to ensure "pay-to-play" rules are being dismantled and that bogus referrals are not being forwarded. 4) Principals of schools where more than 15% of Black boys are being referred for clinical evaluations and pharmacotherapy are also mandated to undergo the same FBA/PBP training as their teachers. 5) Teachers and principals who consistently utilize the "complain-refer-drug" model of coercing parents to expose their children to brain drugs unjustifiably will receive reprimands for practicing outside their realm of expertise and ultimately discharged for EDUCATIONAL ABUSE. Proactively, every school district in America, in concert with state departments of education, and the state/federal legislature MUST fund programs that seek to significantly increase the amount of Black men who enter the teaching profession with loan repayment, grant and scholarship incentives. Black men with non-violent felony and misdemeanor charges should be allowed to participate in such programs, and at the very least, be allowed to serve as paid classroom aides/assistants which will go a long way towards providing our boys with adequate mentors, role models and the masculine energy which every boy craves. Lastly, the Black community needs to stop "worshipping" President Obama and start holding him accountable for his total neglect of the crisis that is facing Black men in general and Black boys in particular. Umar R. Abdullah-Johnson is a Nationally Certified School Psychologist, Political Scientist, Educator and Orator. He is a Great, Great, Great, Great Grand Nephew of Frederick Douglass, and an outspoken voice and advocate for the educational rights of Black children. He is a child therapist, expert presenter and is available for interviews, consultations and training workshops. He can be reached at (215) 989-9858 or umarabdullahjohnson@yahoo.com. He is the founder and president of the National Movement to Save Black Boys (NMSBB).